With funding from the Heritage Lottery Fund, thousands of communities across the UK are finding out about the First World War and how it shaped the world we live in. 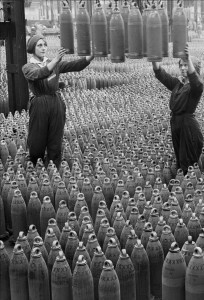 An incredible range of stories are being uncovered, from newspaper cartoons in Cardiff, to munitions factories in Pembrokeshire, to Pals Battalions in North Wales. There are projects being led by residents associations, local history groups, youth clubs, disability and faith groups, Royal British Legion Branches and more. Projects are enabling a wide range of people to get involved in the Centenary. HLF will be funding First World War projects throughout the Centenary. Grants are available from £3,000 upwards and we welcome applications from groups who have never applied before, as well as those who have already done a project. We’re especially keen to see projects which look at the war from new perspectives, helping to deepen our understanding of its impacts. We’re happy to see communities apply for funding more than once during the Centenary. Several groups chose to do projects to mark the Centenary of the start of the war in August 2014, with many looking at the local impacts of the war. We’re encouraging these groups to think about what they’d like to do next. If you have an idea for a project, tell HLF about it! Be inspired by the projects we’ve already funded and visit our First World War web pages to find out more about what’s on offer. The grants programme with the simplest application form and highest success rate is First World War: then and now.